Are you a dog lover and are searching for the best dog breed? Even though, almost all dogs have potential to be affectionate, lovable companionship and loyalty, there are a few dog breeds that can be very affectionate with their owners. 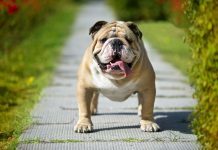 So, if you are in search of the best dog breed for your companionship, here are some of the dogs breeds list along with some short descriptions of their attitudes that you would most probably love to adopt. Golden retriever is the most powerfully built well proportioned dogs which are specially trained for hunting and retrieving things. 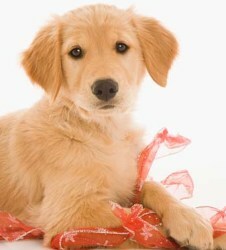 These golden hair dogs are not only adorable for adults, but also becomes a lovable pet for the entire family. These dogs are very affectionate towards their owners and show infinite patience towards children. This particular dog has athletic and sturdy built body. The face is very expressive and its intelligence is commendable. Brittany has natural eagerness and a good nature for a great companionship. It is highly trainable and an obedient dog as well. Labrador dogs are very affectionate towards their owners and would make an excellent family dog to adopt, if given proper training. They have great patience levels and the most adorable dogs for children. Bearded collies are smart working dogs with high energy levels and affections. These particular dogs require high physical activities and exercises. They love chasing animals and require some proper training in order for them to behave appropriately.